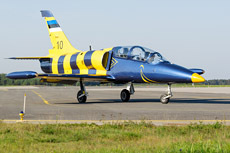 Since the independence from the Soviet Union, Estonia has a small air force which is completely based at Ämari Air Base in the northwest of the country. The country is unable to perform its own air defense with a small fighter fleet of 2 L-39 Albatross aircraft; the air defense depends on the NATO Baltic Air Policing. 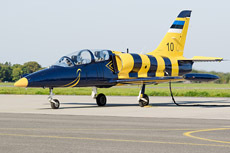 The Air Force of Estonia (Eesti Õhuvägi) is nowadays a small and compact air force. 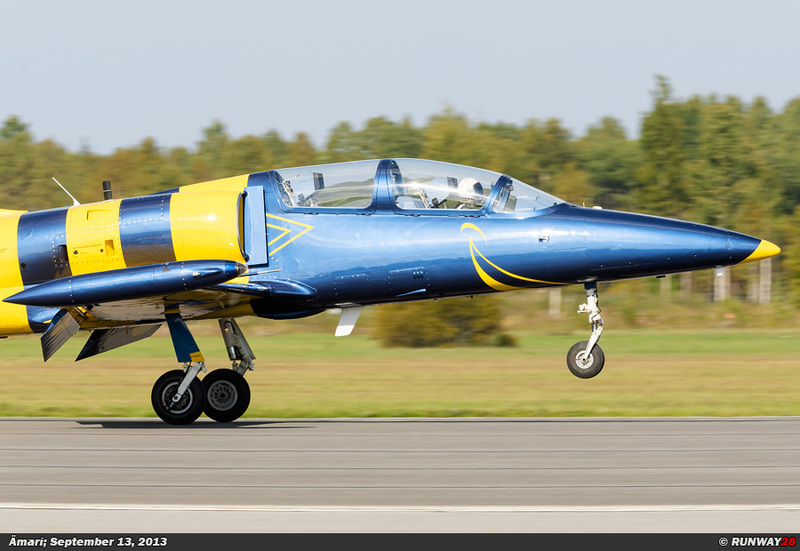 In total, the current staff of the Estonian Air Force is not more than 210 people. 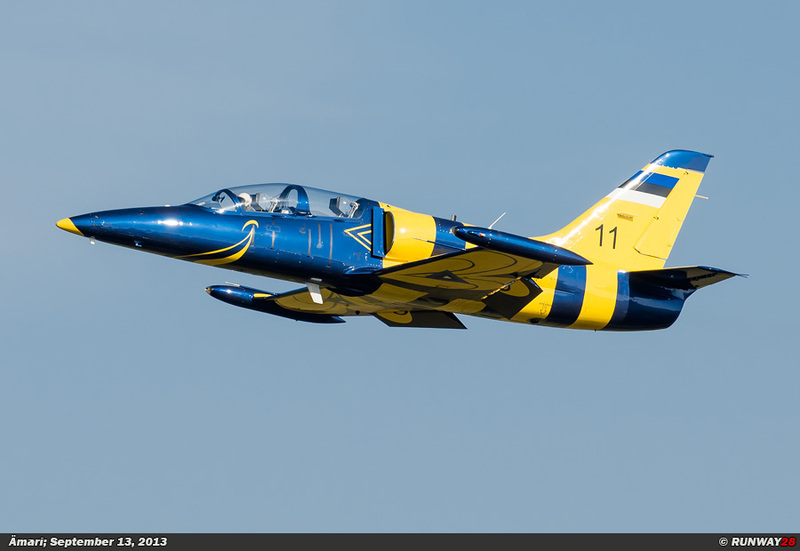 The origin of the Estonian Air Force begins in February 1917 during the Russian Revolution. 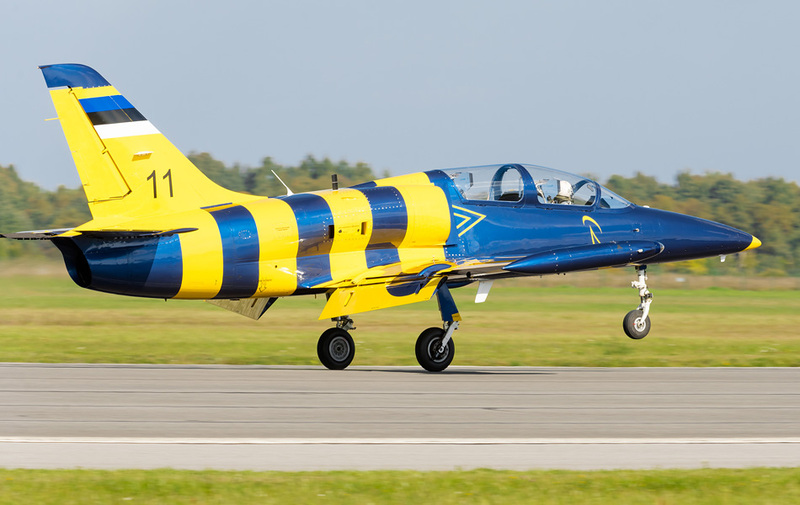 Estonia received a degree of independence from the Russian government and could build a defensive force on their own. 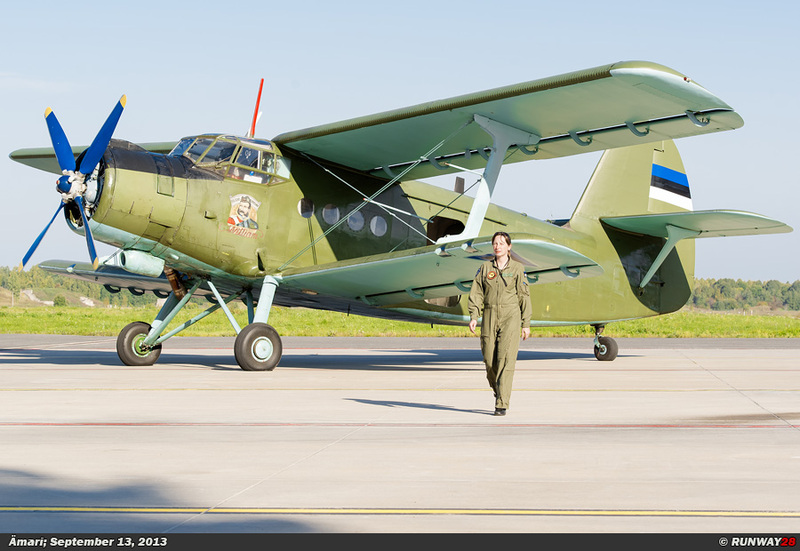 Many Estonians who served in the Russian army returned to Estonia to form an Estonian army. The Estonian Declaration of Independence was proclaimed at the beginning of 1918. The Germans did not recognize this declaration and occupied the country; the newly formed army was immediately disbanded. 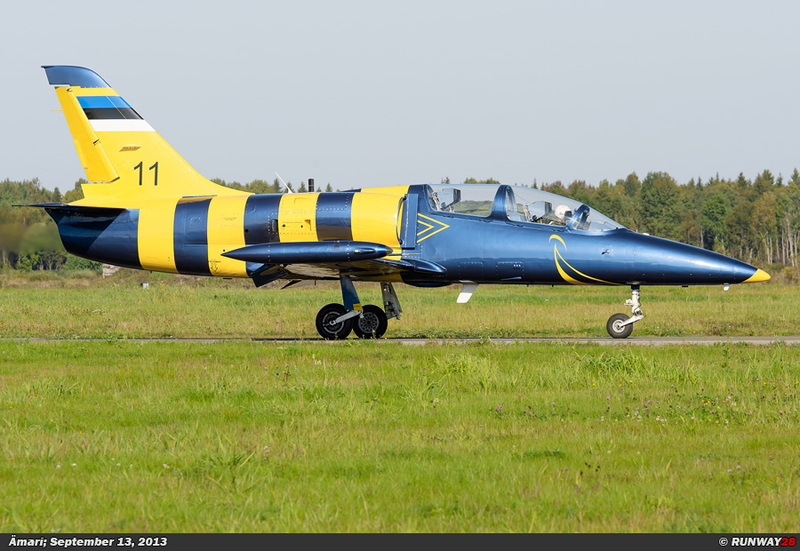 After the occupation, the Estonian government founded an air brigade on November 11, 1918. 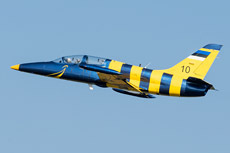 This small air force would remain until the Second World War. 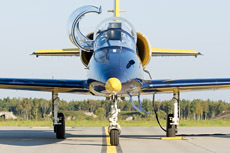 After Great-Britain could not deliver planes to Estonia, the country was dependent on Soviet support during the war. Through an agreement with the Russians, Soviet troops were again placed in the country since 1939. 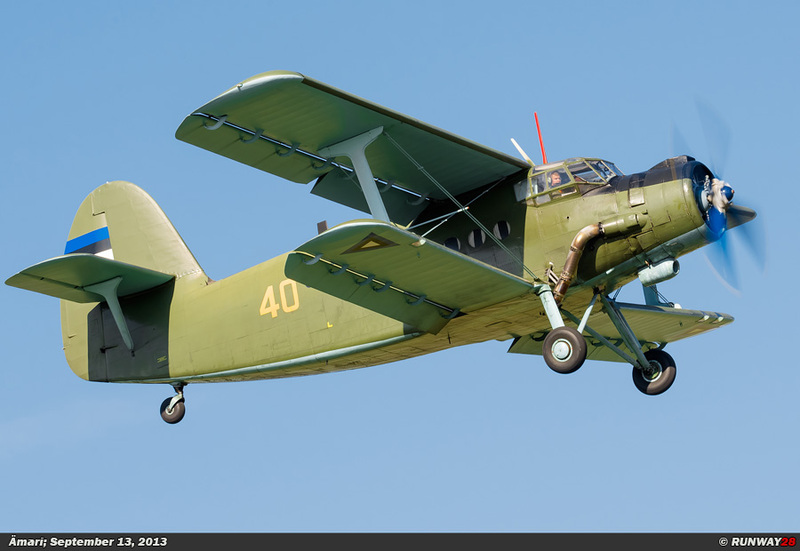 As of June 17, 1940, the three Baltic States were annexed by the Soviet Union after the invasion. 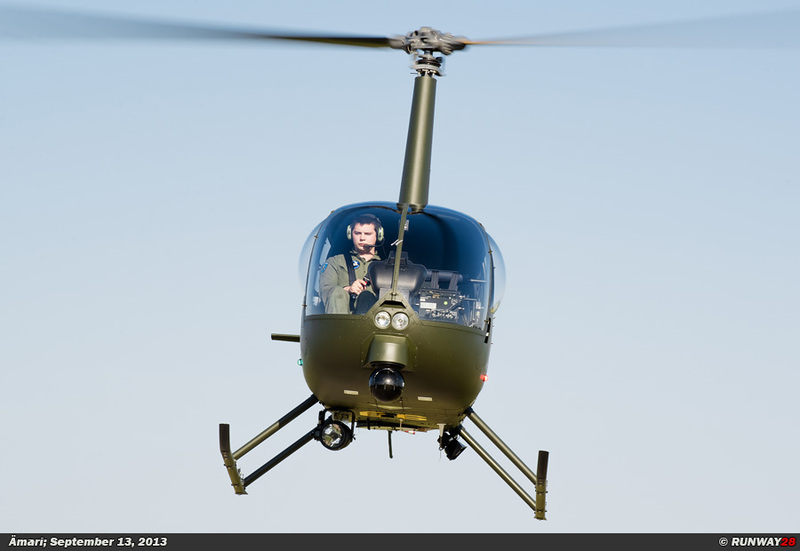 The German troops were hailed as heroes when they invaded the country. After the Second World War, Estonia was occupied by the Russians again and the country was part of the Soviet Union. 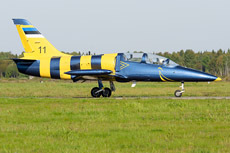 Estonia was heavily occupied by the Russian army during the Cold War. 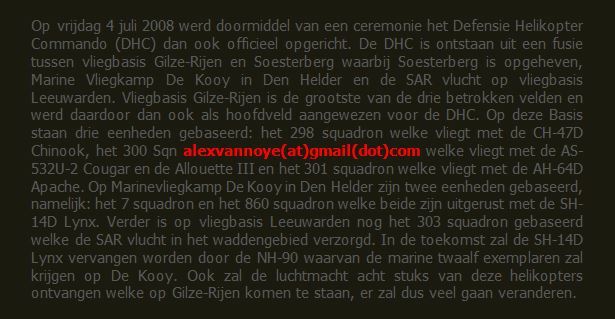 More than 10% of the populations of the country were Russian soldiers. 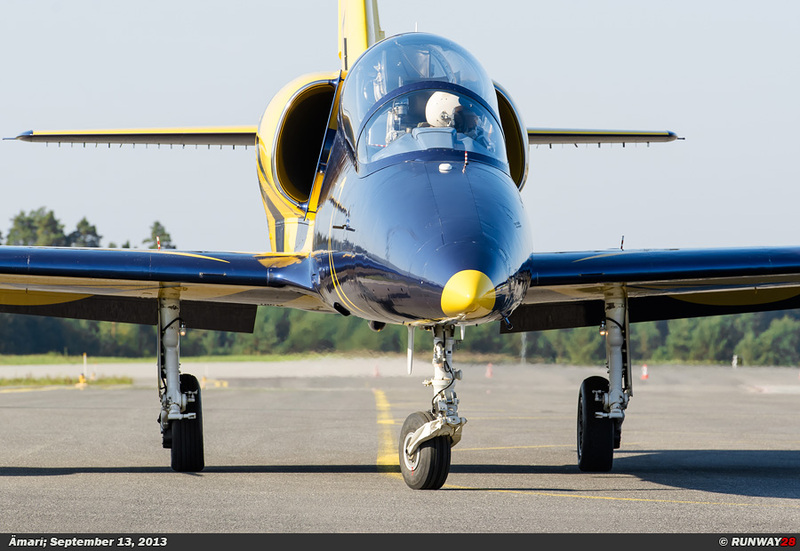 aircraft to the Estonian government. 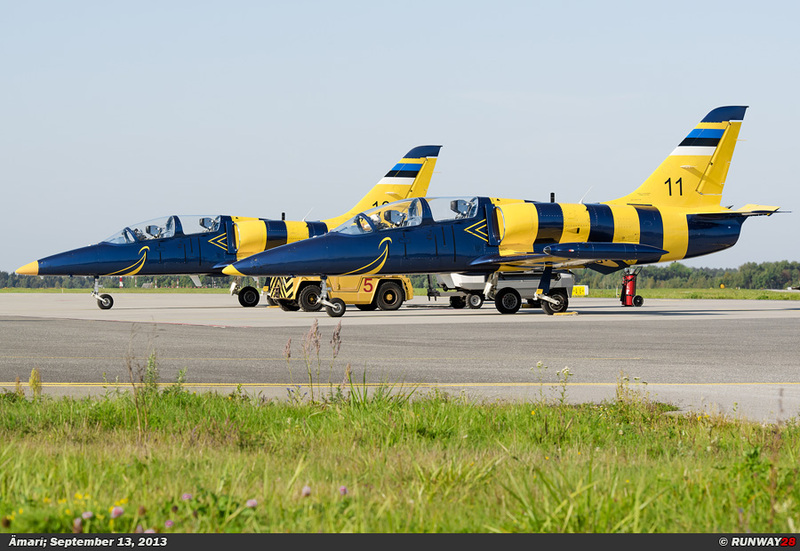 These 2 aircraft were quickly transferred to the Border Guard where they still fly nowadays. 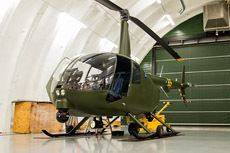 In October 1994, 3 Mil Mi-2 "Hoplite" helicopters were purchased. 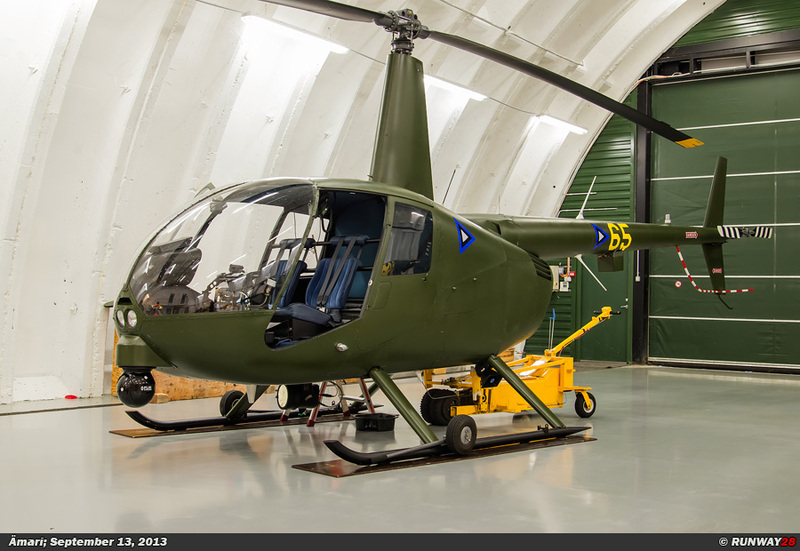 These helicopters were replaced by 4 Mil Mi-8 "Hip" helicopters in November 1995. These helicopters were soon transferred to the Border guard. 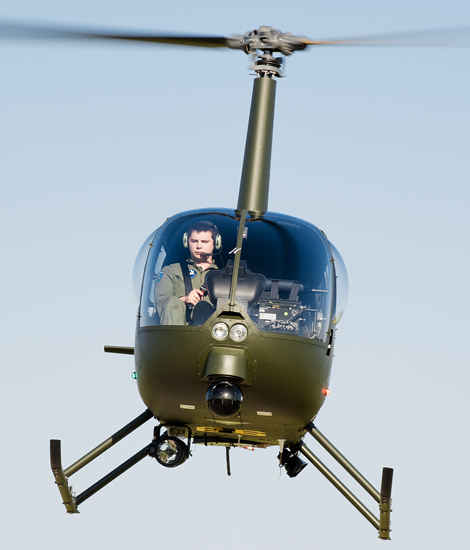 In total 2 of the Mi-8 helicopters were updated to the Mi-8TB standard in 1997 and 1998. 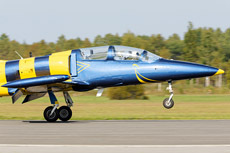 As of May 15, 1997, the entire Estonian Air Force is stationed at Ämari airbase. 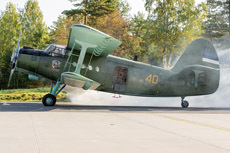 This base was used in the past by the Soviet Air Force; there were at that time Su-24 "Fencer" fighter-bombers of the 321/170 MShAP (321st/170th Shturmovik Naval Aviation Regiment) stationed at this base. 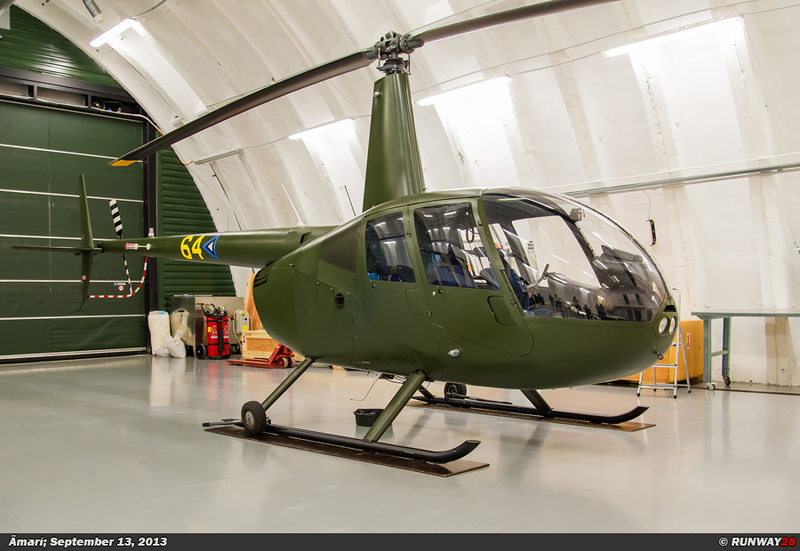 It would take a very long time before Ämari would be fully operational again. 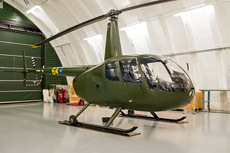 Eventually, the airfield was declared fully operational in 2011. 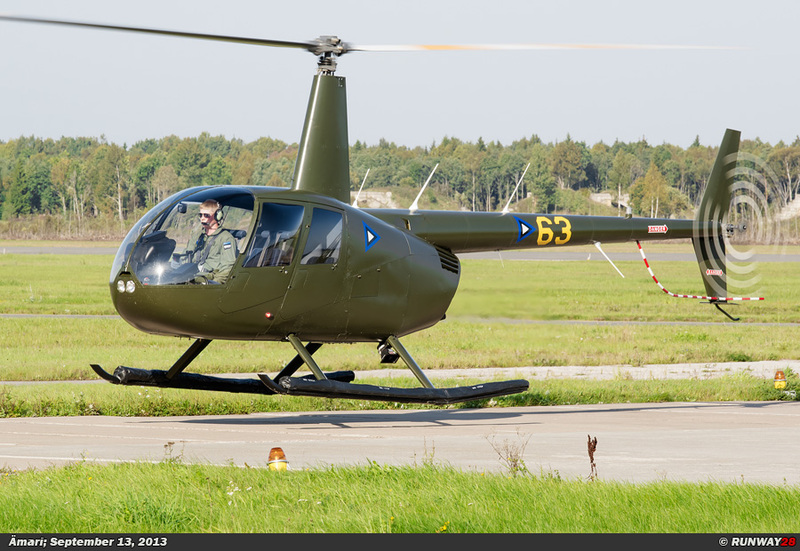 At the end of the decade the 2 Mi-2 helicopters were withdrawn from service. 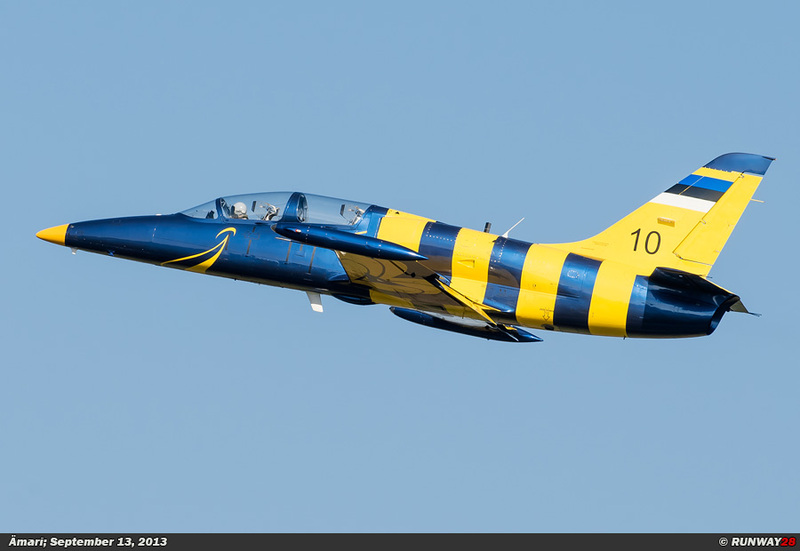 Both aircraft were old and worn and could not stay longer in operational service. 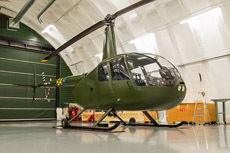 The replacement of these helicopters was the Robinson R44 Raven. 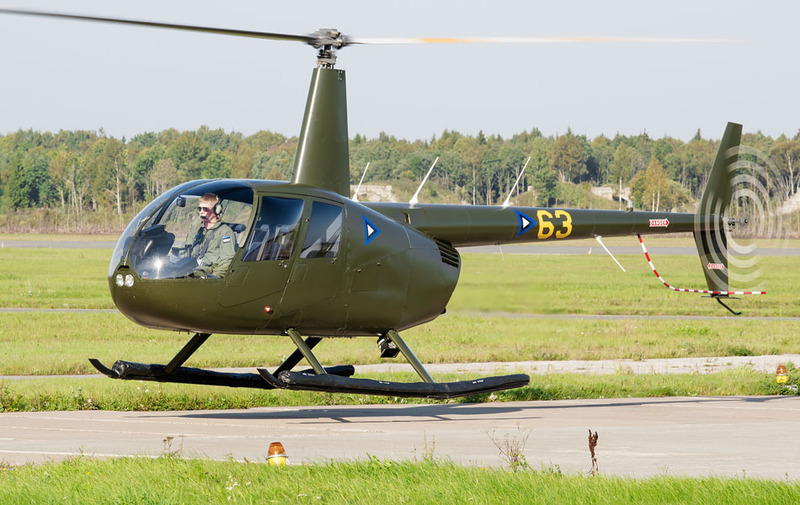 A total of only 4 countries in the world is using the Robinson R44 in military service, these countries are; Bolivia, Dominican Republic, Estonia and Lebanon. 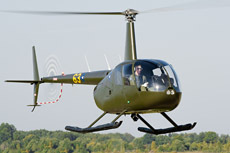 The Robinson R44 is a single-engine helicopter with a two-bladed rotor. 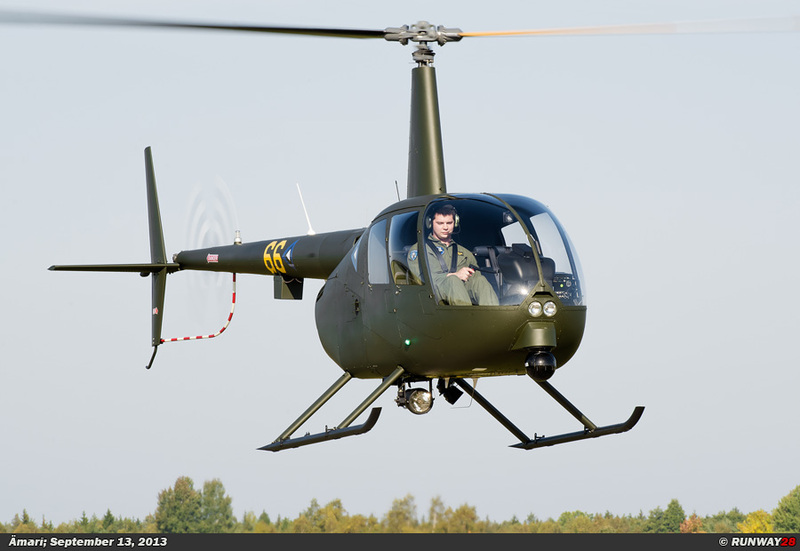 The helicopter has skids for landing and the helicopter is able to carry 4 persons including the pilot. 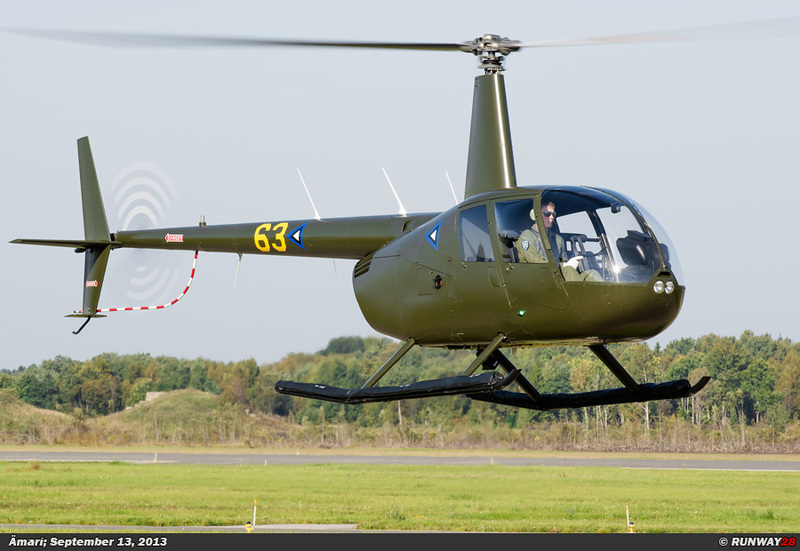 The Robinson R44 was designed in the 80s by Frank Robinson. 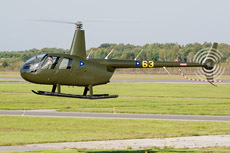 The helicopter would make its first flight on March 31, 1990. In January 2000, Robinson introduced the Raven II. This helicopter had more power and it had an improved Operating System. 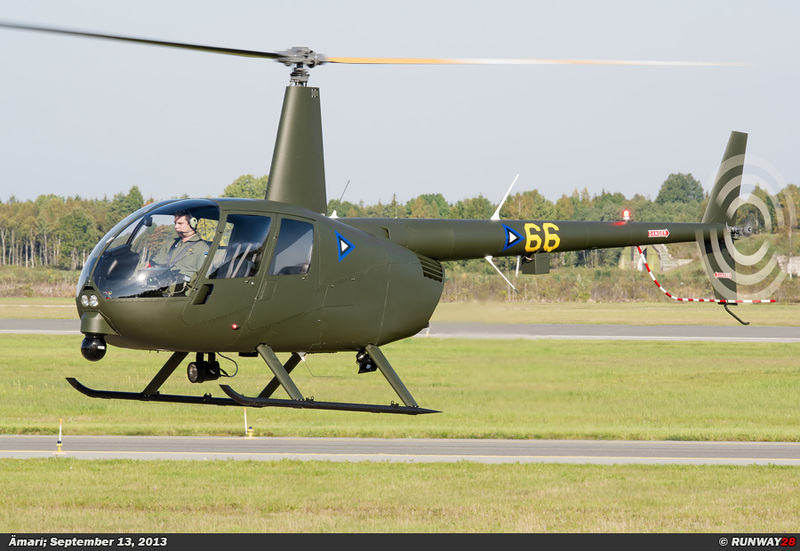 The 4 Robinsons in service of the Estonian Air Force are of 2 variants. 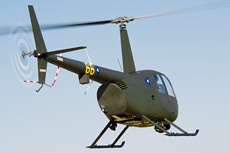 The variations of these helicopters are not indicated in the type designation. 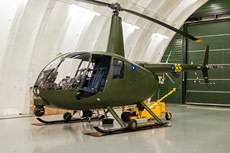 The first version has floats attached to the skids; the helicopter is able to make an emergency landing on water if needed. 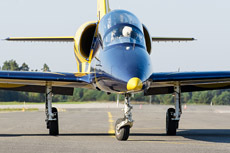 The fixed floats have a weight of 23 pounds and the inflatable floats have a weight of 30 pounds. 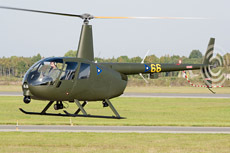 The second variant of the Estonian Robinson has no floats. 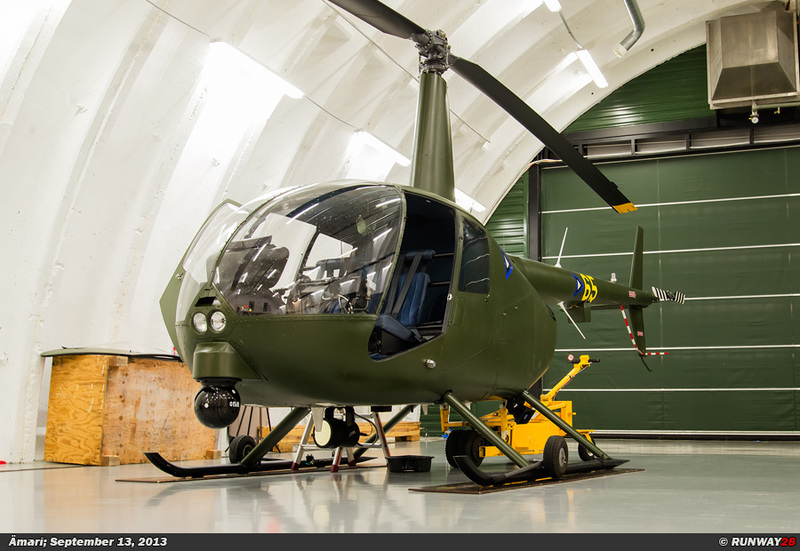 These helicopters are equipped with FLIR pods and searchlights. 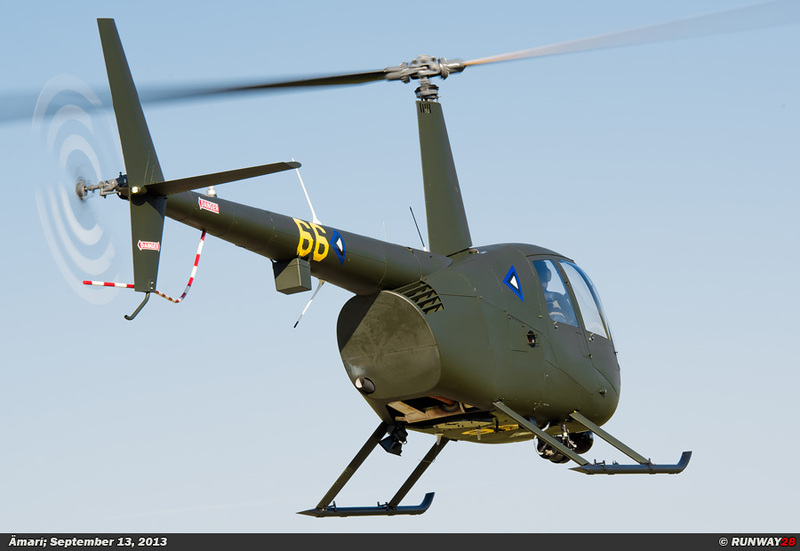 This type is especially designed for police missions from the air and is primarily flown in the United States. 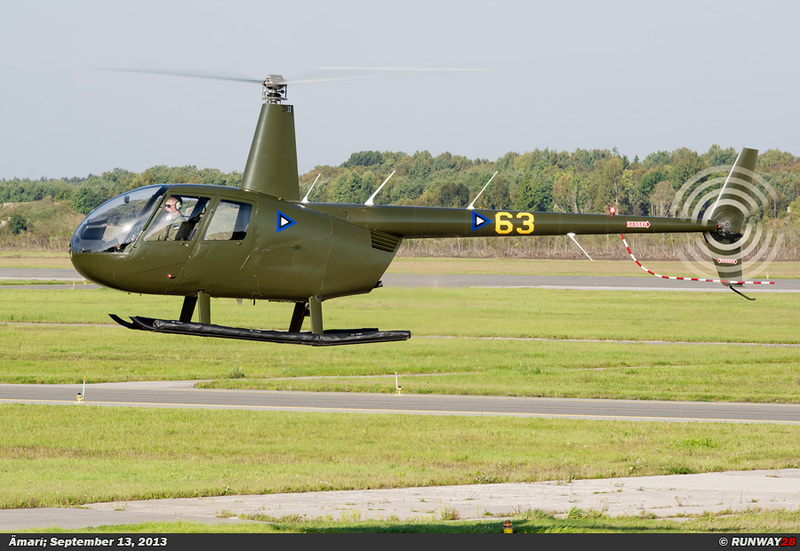 The Estonian Air Force has both variants of this helicopter in service. 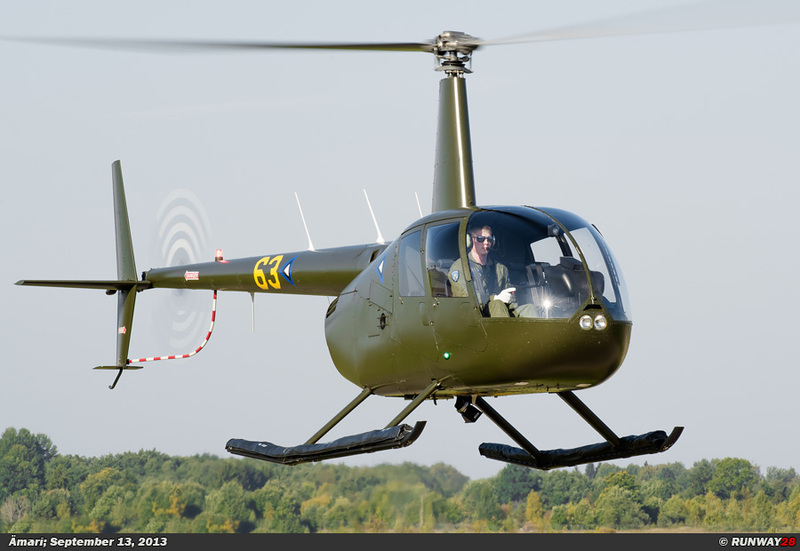 The Robinson R44 is a light helicopter which can be used for tasks, like; searches, patrols, support and training. 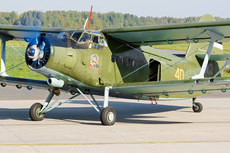 The An-2 has been used since the re-establishment of the Estonian Air Force and is currently the only transport aircraft in service at the Estonian Air Force. 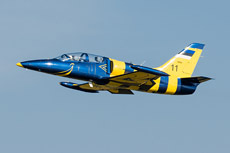 The Air Force has 2 operational aircraft. 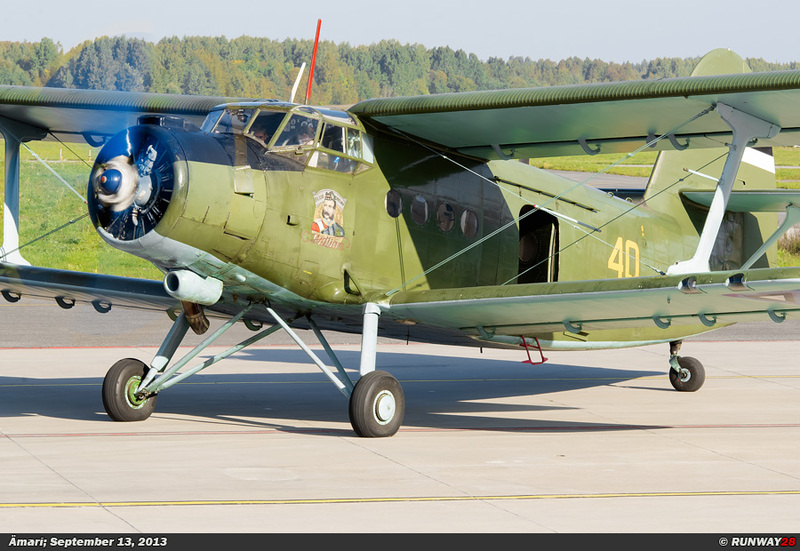 Both planes are very well maintained despite their age; the Antonov's look very good and are reliable planes. 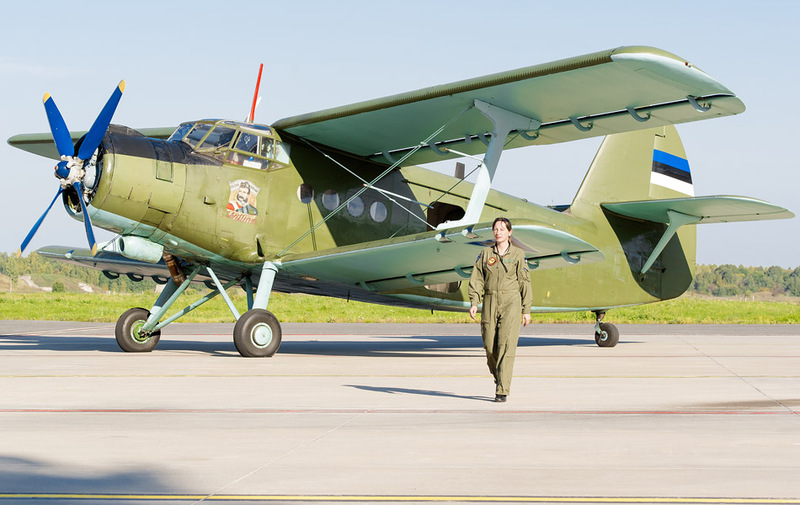 A new hangar was built especially for the An-2s during the rebuilt of Ämari. 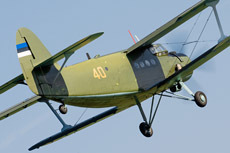 The Antonov An-2 is often used in Estonia for dropping paratroopers and transporting troops to far and isolated locations. The An-2 is also a light transport aircraft which is capable to land on difficult terrain. 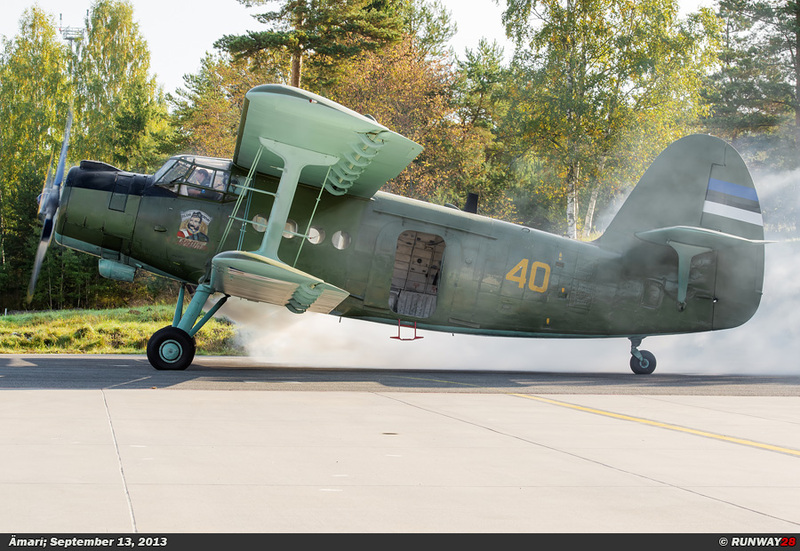 As expected, the two Antonov’s will stay in service of the Estonian Air Force in the next 10 years. 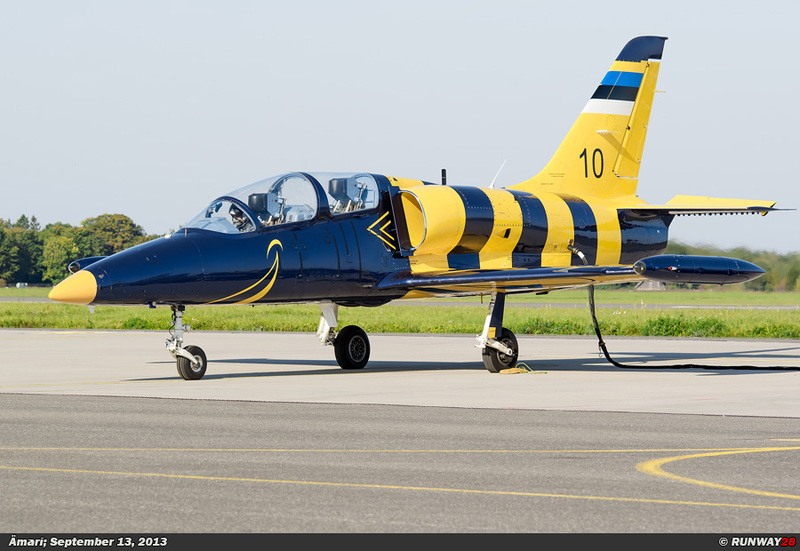 Since 2011, the Air Force of Estonia has also 2 Aero L-39C Albatross aircraft. 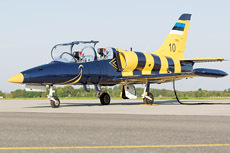 The aircraft are leased from the famous display team, the Baltic Bees from Latvia. 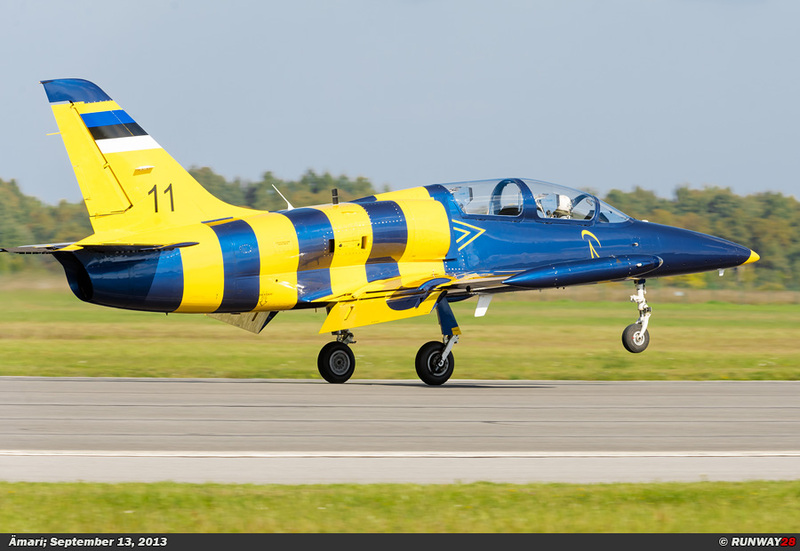 The aircraft also fly both in the colors of the Baltic Bees and are therefore painted in a bright yellow and blue color scheme. 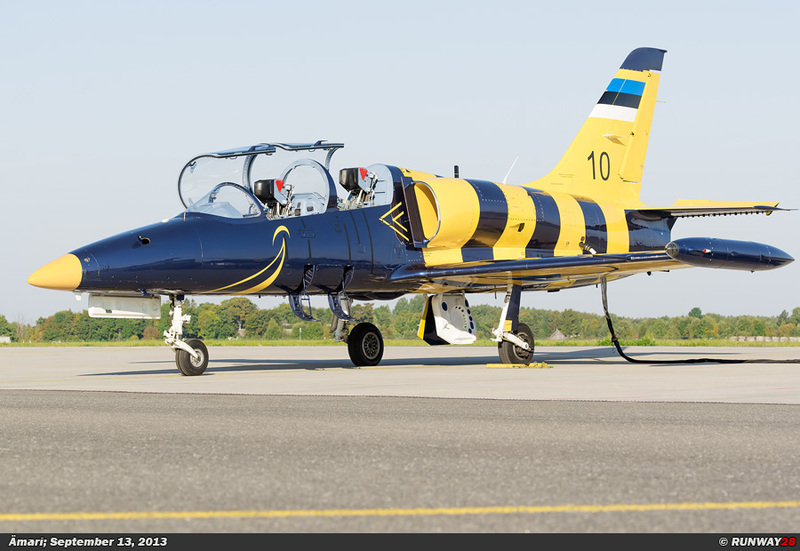 The only difference with the aircraft of the Baltic Bees is the Estonia flag on the tail and the military serial. 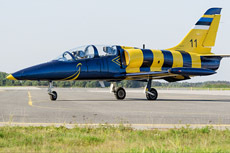 The aircraft are currently used for various training flights. 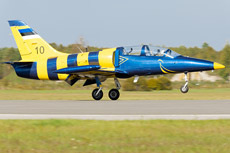 The aircraft cannot be armed and are therefore not available for military actions. 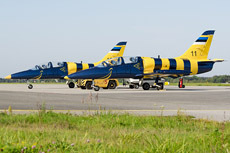 Ämari is like the Lithuanian Šiauliai-Zokniai airbase prepared for a NATO Baltic Air Policing detachment. 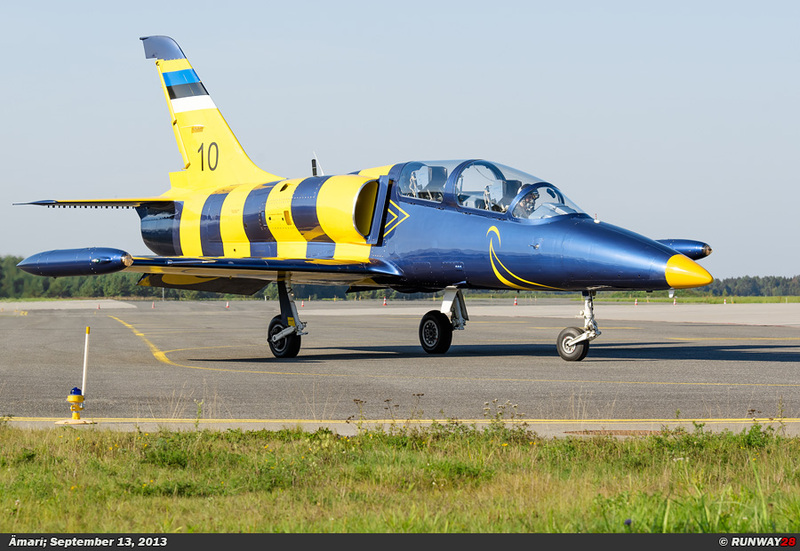 NATO detachments will probably fly from Ämari as well in the future. 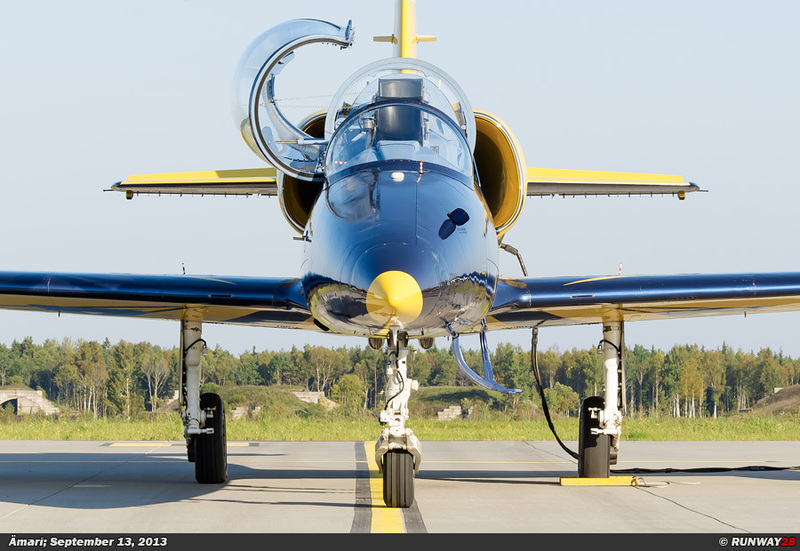 For the coming years the Estonian Air Force will probably fly only a few planes and is therefore one of the smallest air forces in Europe and depends heavily on NATO support when it comes to air defense.